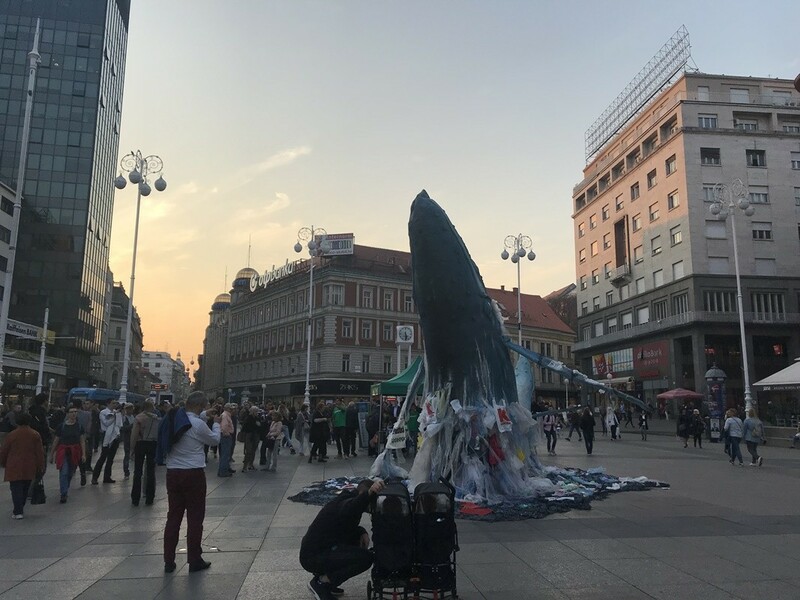 In the center of Zagreb, right up to the Ban Josip Jelačić monument, two specimens of the huge sea mammal were noticed today. We’re talking about two giant whales, mother and a cub who, according to Greenpeace Croatia, “doubled” in the Croatian capital to spread a word of piles of plastics in the seas and oceans. 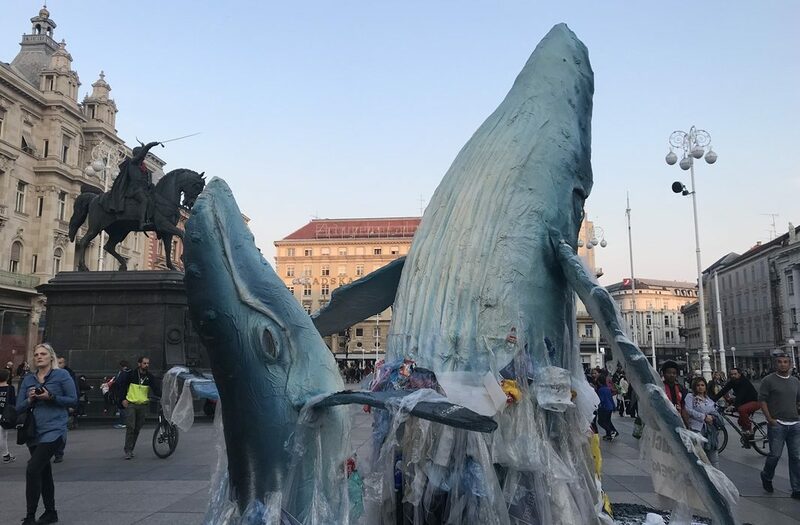 Greenpeace activists presented a six-meter sculpture of whales emerging from the sea full of plastic waste. 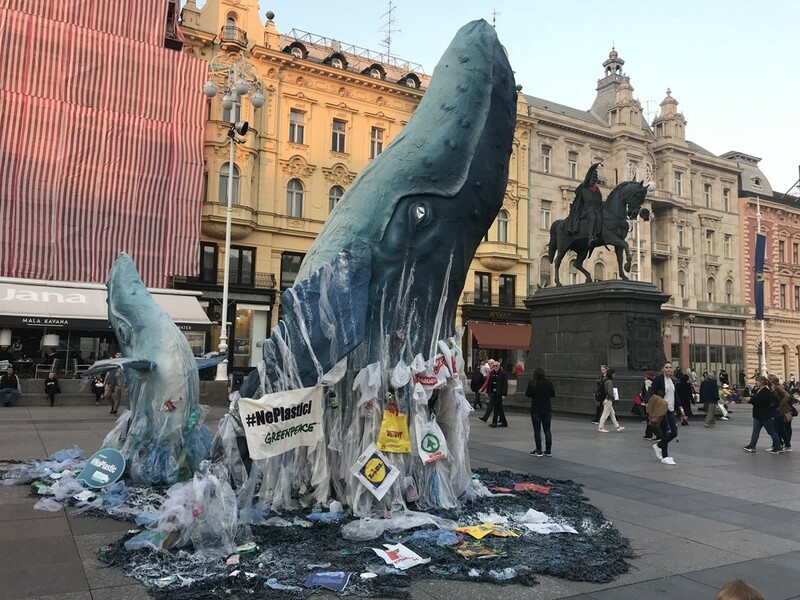 The campaign aims to raise awareness that our sea and sea creatures suffer from the impacts of single-use plastic contaminants. 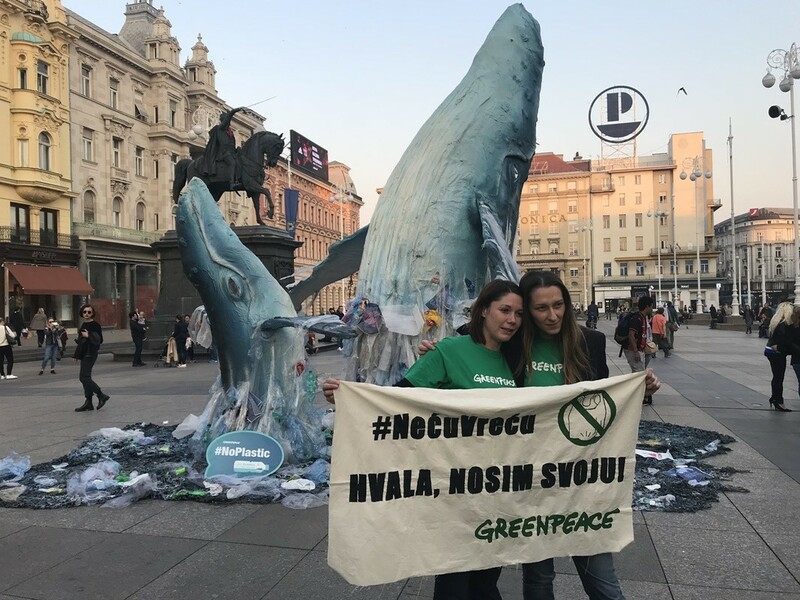 To put an end to this situation, and more specifically to what is happening to our neighbouring seas, such as the Mediterranean and the Black Sea, Greenpeace has launched a campaign which aims to put an end to the use of disposable plastics, including bags, bottles, straws and cutlery. 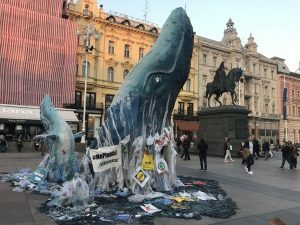 Scientists estimate that there are around 1,455 tonnes of plastic floating in the Mediterranean. Plastic has been found in small fish, marine birds, turtles and in stomach of many other species. 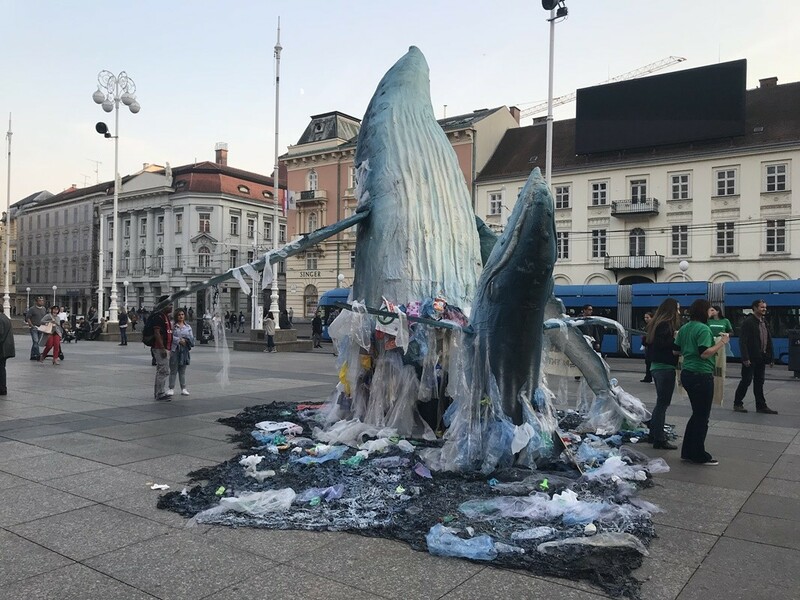 Don’t use plastic bags or cut their use down to a minimum. Instead, get into the habit of taking with you a reusable bag or a shopping trolley. Make sure that your plastic cutlery doesn’t end up in the oceans. Use reusable cutlery, glasses and plates. Avoid usage of plastic bottles and drinking straws and replace them with flasks or reusable bottles. Avoid using cosmetics with microbeads, check the ingredients to see if they contain polyethylene (PE) or polypropylene (PP). Try to buy products sold loose or in bulk and avoid extra packaging. For more suggestions visit Greenpeace Croatia.